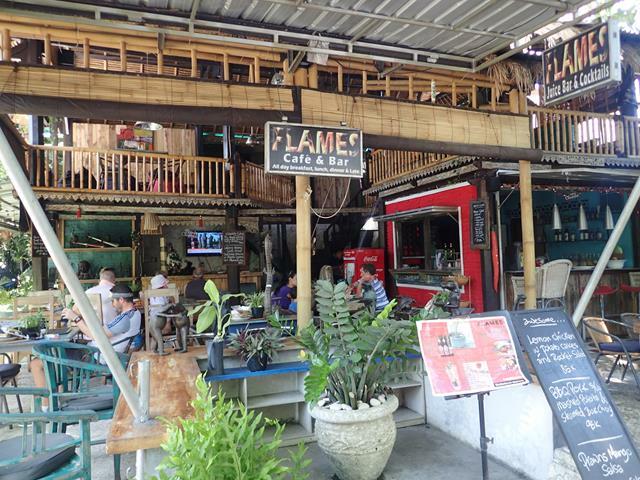 Flames Cafe and Bar is locate directly out the front entrance of the Mercure Sanur Resort. A small trendy cafe / restaurant / bar decked out in wood and bamboo. This place is always busy with guests from the Mercure enjoying the much much cheaper food and beers than you get inside the Mercure. 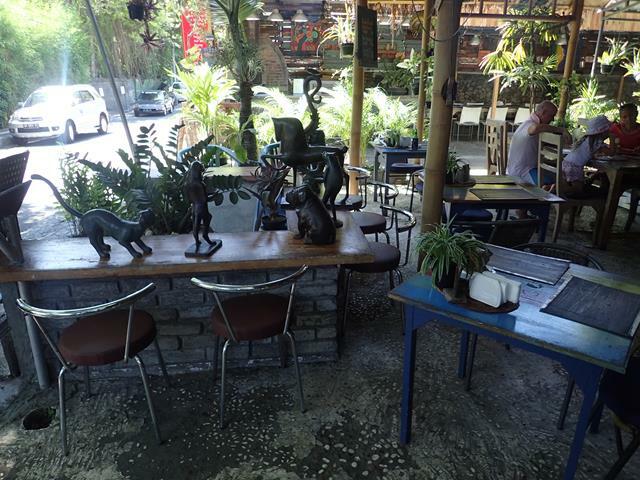 A great range of Indonesian and Balinese food as well as some Italian and International dishes like wood fired pizza, Lemon chicken served with Potato cakes and rocket salad and BBQ pork with mashed potatos. 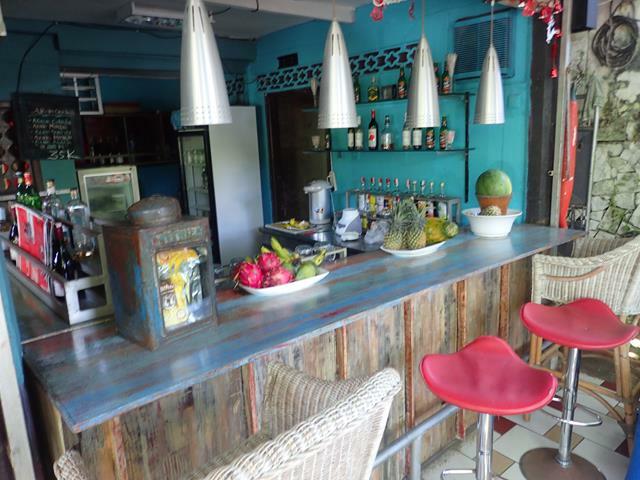 They also have a great range of fresh fruit juices. There is free WiFi internet access and beers are cheap! 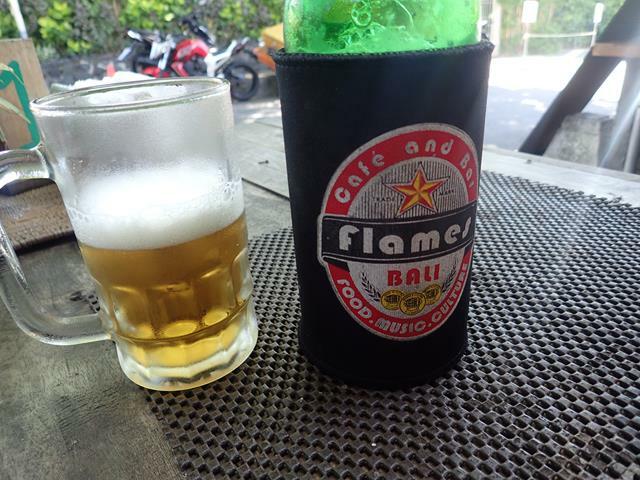 35,000Rp for a large Bintang beer. Only a small restaurant, tucked around the back so it doesn't get much traffic going past but there are always people eating and drinking here from the Mercure Hotel. A good sign as the food is being refreshed. Very cheap beer and good fast wifi. If you are staying at the Mercure you can stay connecte to the Mercure WiFi internet while sitting in Flames.